This previously unpublished image shows the “Fatal Corner” in San Antonio, Texas, where Ben Thompson killed Vaudeville Theatre owner Jack Harris and was later gunned down alongside John King Fisher. 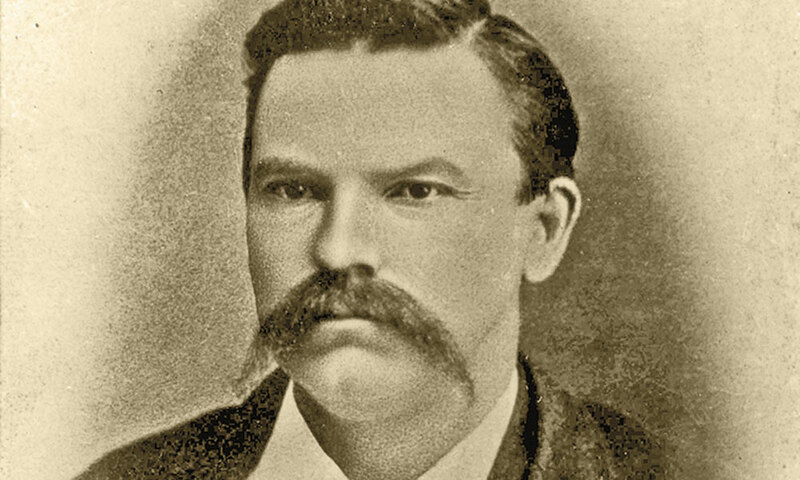 Four years before controversial lawman Ben Thompson and pal John King Fisher were killed at the Vaudeville Theatre in San Antonio, Texas, on March 11, 1884, Thompson set into motion a feud that ultimately cost him his life. The feud was sparked in late February 1880, when Thompson, an owner of a gambling hall above the Iron Front Saloon on Congress Avenue in Austin, was visiting San Antonio and decided to try his luck at the gambling room run by Joe Foster on the second floor of Jack Harris’s Vaudeville Theatre, located on the northeast corner of Main Plaza. San Antonio’s version of what transpired goes: Thompson lost his cash playing monte and exchanged his gold watch and some diamonds for $1,000 to continue to gamble. He lost $360 of that, switched over to play faro and did not lose or win any more. He turned over his chips to Foster and said to keep his watch and diamonds on collateral for the $360 owed to the house. 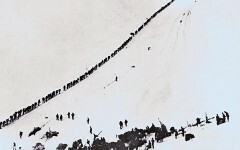 The next night, after Thompson retrieved his items, he pulled a pistol on Foster, refused to pay the balance and left. The following day, Thompson admitted to Foster he had been drunk, but still did not pay what he owed, and returned to Austin. Austin’s version was recounted by William M. Walton, who worked with Thompson on his autobiography and finished it after the gunman’s death: When Thompson’s run of luck went against him, he watched the game go on and became convinced it was rigged. Angry at being cheated, he recovered his jewelry and, when Foster demanded payment for what was owed, Thompson pulled his pistol and denounced Foster as a cheat. In either case, Thompson never paid his gambling debt. When the generally peaceable Harris found out about the altercation, he could not allow Thompson’s behavior to pass, or else others would attempt to take their money back in a similar fashion. As the principal partner, he banned Thompson from ever entering the Vaudeville again. At the end of the year, on December 18, the degenerate gambler graduated to lawman. Austin had declared Thompson city marshal. 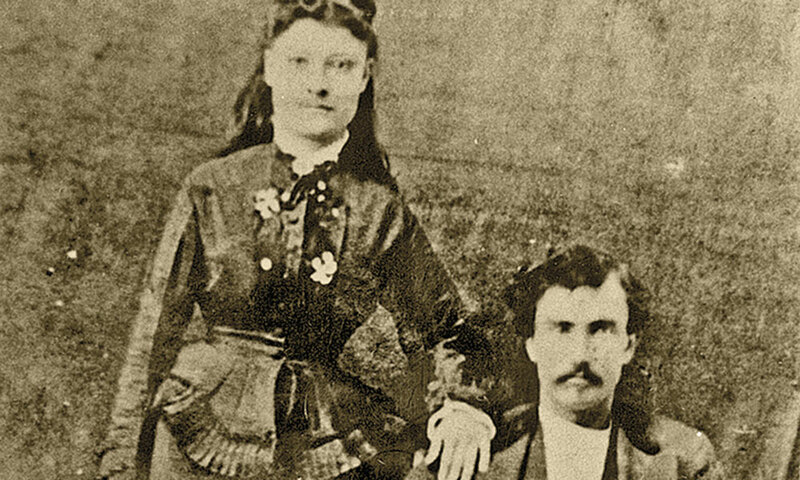 John King Fisher was considered the king rustler of Texas’s Nueces Strip for years. He became a deputy of Uvalde County and was a strong contender to be elected sheriff when he was killed along with Ben Thompson. 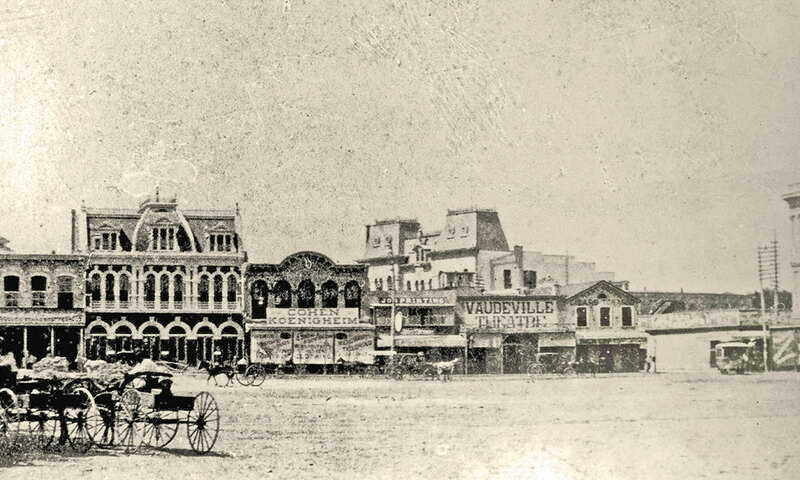 Their death site, the Vaudeville Theatre, is shown in this 1882 view of the north side of Main Plaza in San Antonio, Texas. In February 1881, San Antonio invited the Texas Legislature to visit the city. Thompson joined Austin officials on the excursion to the Alamo City. While most of the excursionists took in the famous sites, which included touring the ruins of the Alamo chapel and the other Spanish missions, Thompson decided to visit Harris’s Vaudeville Theatre. Foster initially tried to bar the troublemaker’s entrance, but when Thompson threatened to blow his police whistle, which would have emptied the gambling hall of customers, Foster acquiesced. Harris was furious when he later learned Thompson had forced his way into his place. Harris walked out of the Vaudeville’s front doors, cradling a double-barrel shotgun in his arms, ranting, “By God, I want nothing to do with him. I want him to let me alone. I have told him not to come in my house. And if he comes in here, I intend to kill him,” as witnessed by San Antonio lawyer Leo Tarleton. John King Fisher, posing with fiance Sarah. The next evening, Thompson and Harris ran into each other at the Green Front Saloon. William H. Simms witnessed the meeting, reporting Thompson said he heard Harris had been looking for him with a shotgun, which Harris denied. The argument ended as fast as it started. Both exited the saloon and, the next morning, Thompson boarded the train with the other excursionists and returned to Austin. In November 1881, Thompson won re-election as city marshal. Another December came with Harris feeling bitterness. On Christmas Day, Harris got into a conversation with William M. Edwardy, the Galveston correspondent for the Houston Post. He heard Edwardy had gotten into “some sort of fuss” with Thompson, which Edwardy shook off as a misunderstanding that had been fixed. The theatre was the first subscriber to the San Antonio electric company. This decision to modernize would have a fateful consequence for Harris. Ben Thompson was 37 when his feud began with Vaudeville Theatre owner Jack Harris. 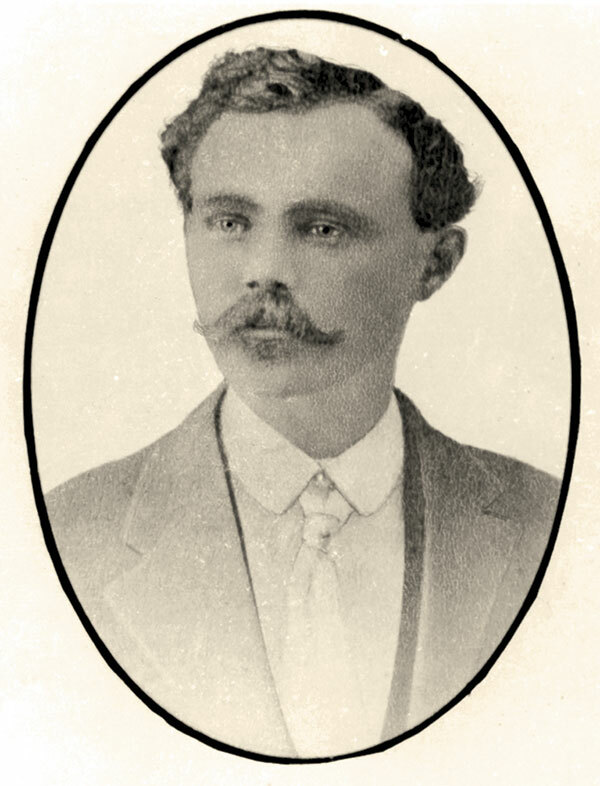 This photo of him was taken a few years earlier, in Wichita, Kansas, when he was 29, and it is the earliest known image of Thompson. Another Thompson trip to the Alamo City, in May, also proved uneventful. Thompson’s success as city marshal in Austin put him among the top contenders to challenge Travis County Sheriff Edward Creary for his job. The city marshal’s personal feud with Harris, however, would intervene and bring an abrupt end to his career as a peace officer. When a friend warned Thompson his life was in danger, he left the Vaudeville, but returned around dusk, roughly four hours later. Beforehand, down the street from the Vaudeville, Thompson had stopped at Charles Hummel’s gun shop and purchased five Winchester .44 caliber centerfire cartridges for 10 cents. The electric lighting made the Vaudeville saloon interior brighter than it ever had been. 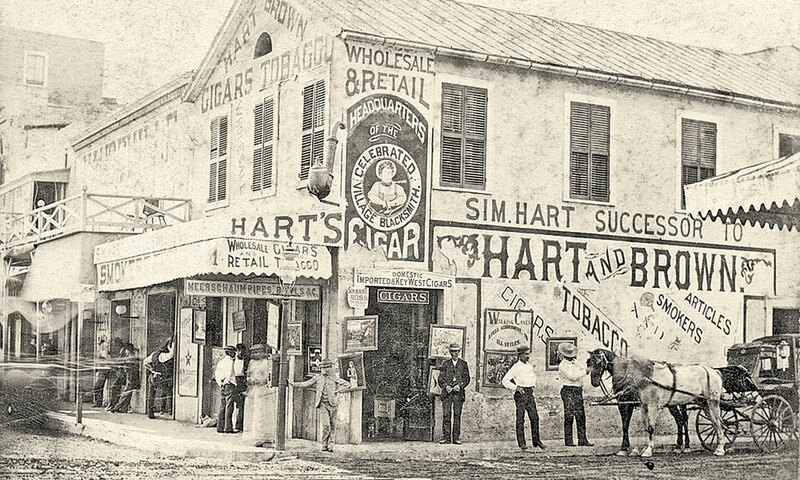 At around 6:45 p.m., Thompson walked in the east door, the one nearest Sim Hart’s cigar store on the corner of Commerce and Soledad Streets. Thompson stood at the bar for a couple minutes and then left through the east door. Leon Rouvant, a watchmaker who owned a jewelry store on Main Plaza, was heading inside the Vaudeville to eat a meal and, seeing Thompson, invited the Austin lawman to join him inside for a drink. Simms, having seen Thompson at the establishment, left the Vaudeville and found Harris at Wolfson’s corner. He told him Thompson was at the bar and then gave Harris one of two pistols he had hidden under his coat. Upon reaching the Vaudeville, Harris looked through one of the slats into his barroom and saw Thompson with his back to him. The distance was a mere 12 feet from where Harris was standing to the counter where Thompson was drinking with Rouvant. Downing his drink, Thompson left Rouvant at the bar and exited the east door. Harris made his way through the barroom to the theatre’s ticket office, where he grabbed his double-barrel shotgun, laying it across his maimed left hand. About 40 feet away, Thompson was outside talking with Simms. on his pistol. To better see through the lattice screen and into the barroom, Thompson stooped down and stepped back off of the edge of the sidewalk, placing himself beyond the glow of the outside electric light. Thompson called out to the man who had caught his attention, Harris, asking him what was he doing? Harris taunted him and swung out his shotgun. Thompson went for his six-shooter, fired through the screen and shot Harris in the chest. A second or two ticked by before he fired again. With his smoking pistol in his hand, Thompson calmly strode off onto the plaza in a westerly direction. Harris was taken to his residence, where Dr. Adolph Herff examined the wound and determined the ball had carved through the breastbone and then passed through Harris’s right lung, severing major blood vessels before exiting below his right shoulder blade. Thirty minutes after he was carried to his home, Harris let out his final bloody gasp. 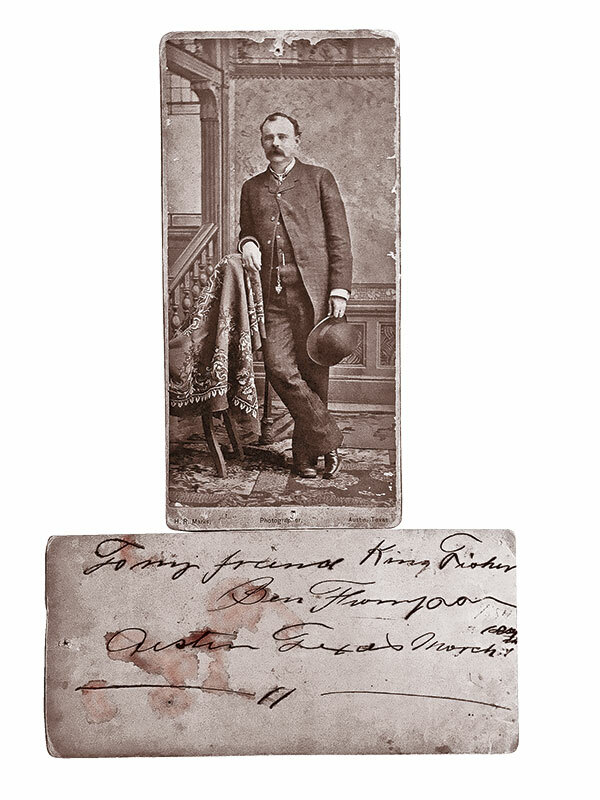 Ben Thompson inscribed this photograph of himself to John King Fisher on the day they both were killed: “To my friend King Fisher—Ben Thompson—Austin Texas March 11, 1884.” Officers took this cabinet card off Fisher’s dead body and found it dripping with his blood. Thompson, meanwhile, had a drink at George Horner’s saloon, telling the owner to call Marshal Philip Shardein into the saloon if he passed by. He then went to his room at the Menger Hotel and spent the night undisturbed. Before going to bed, he sent word to Sheriff McCall and Marshal Shardein that he would surrender himself when the excitement was over. On the streets of San Antonio, many people held the opinion that Thompson had finally killed one man too many. On July 25, exactly two weeks to the day after Harris was shot, Sheriff McCall locked arms with Thompson and pushed his way through the crowd to the Bexar County courthouse for the habeas corpus trial. Simms testified how Harris was only armed to protect himself and, if his intent had been to kill, he could have shot Thompson down when he first peered into the barroom. Judge George H. Noonan denied bail for Thompson. The day after, Thompson tendered his resignation as Austin’s marshal, effective September 1. The city council at first refused to accept his resignation, but by October 23, finally did. Without openly stating so, Sweet and Knox revealed Thompson was operating what amounted to a protection racket. Even though he was home for only a few days, Thompson felt the need for recreation and decided on a lengthy trip. His first stop was San Antonio. It was an act of true bravado, typical of the man. He demonstrated to all of Harris’s friends and associates his contempt for them by immediately returning to the scene of his past troubles. The year 1883 was a peaceful one for Thompson, who celebrated his 20th wedding anniversary with wife Kate. The following year, he would meet his end…at the Vaudeville. This is an edited excerpt from Ben Thompson: Portrait of a Gunfighter by Thomas C. Bicknell and Chuck Parsons, published by University of North Texas Press, in August 2018. 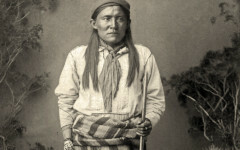 Apache Traitor or Hero? How history should view Chatto. 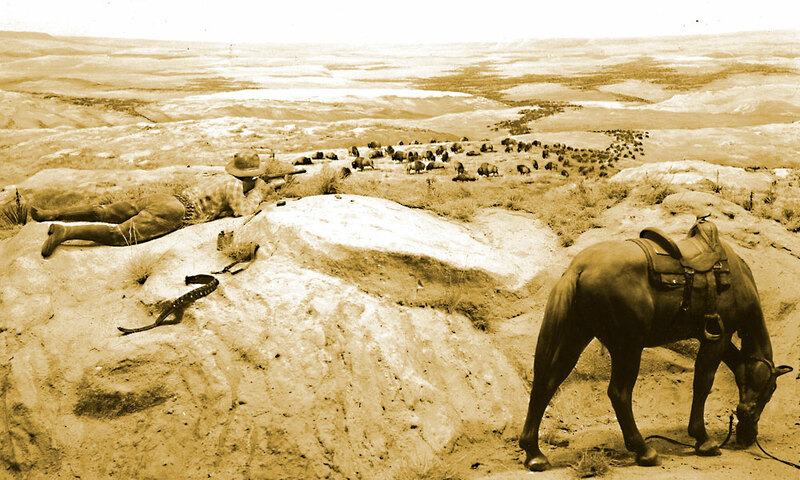 The Buffalo Hunters’ War Dying buffalo herds drove a stake into the heart of Comanches who rained their revenge on Pat Garrett, Charles “Buffalo” Jones and an army of buffalo hunters. Road to Gold & Redemption Thousands headed north to escape economic troubles in the Old West’s last great gold rush.